JYH international Architects has had many of their works published in different countries via magazines, architecture journals and online showcases. Some of which are mentioned below, among with prestigious awards. 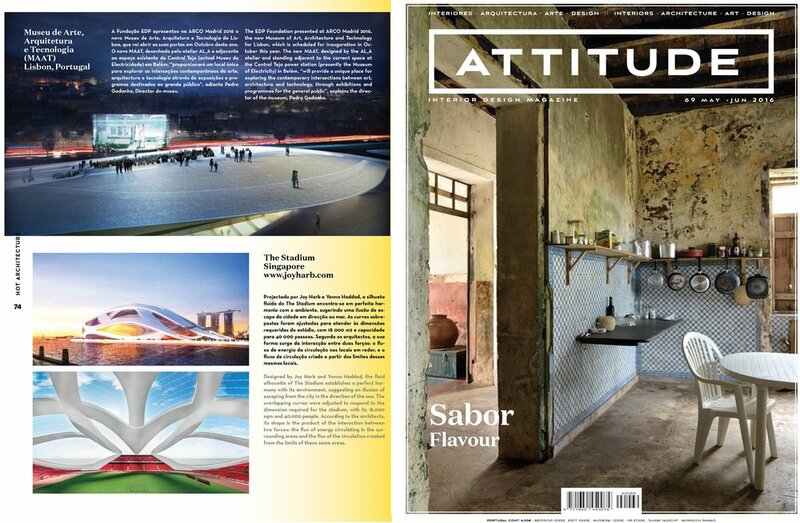 MOSAIK is a specialized magazine in architecture and decoration starting by their smallest details. Their target is to offer professional, interesting architectural specialized topics that satisfy all tastes. Tall Buildings Magazine is a trimestrial International magazine that focuses on the best practices of Russian and foreign companies, the use of advanced technology, the most interesting architectural projects of high-rise buildings, architects and designers, as well as on construction companies working in the field of high-rise construction. Competition INSPIRELI AWARDS has become world biggest contest for young architects. "Kinteract" was the project which we were invited to showcase on BTV's program Connexió Barcelona on the 14th of April 2015, during the Master in Advanced architecture 2014/15 Physical Computing Seminar projects. A prestigious Architecture Award to recognise and acknowledge the outstanding works conducted by imaginative designers, engineers and visionaries, whose inspiring and memorable designs and structures enhance our horizons.